It is not just the PST file corruption, even improper settings and network problems can lead to issues in Outlook. 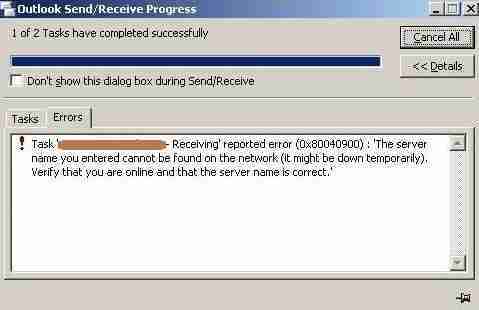 For example, many Outlook users see an error message suddenly pops on-screen saying, Fatal Error: 0x80040900. You would be confused and wonder that what does the error indicate? What caused it? How to sort it out? Well, before we start discussing that, let’s discuss the possible causes behind the error. What causes Fatal Error: 0x80040900? As you are aware, Outlook is configurable with different email services, and you can sync web email accounts like Gmail, Yahoo, AOL, iCloud, etc. And you can set up your email account in Outlook either with IMAP or POP configuration, for which you only need details regarding the email server. Well, the email server settings would differ as per the email provider. So it is important to make sure that the email server is configured with the right settings. Otherwise, you may encounter Fatal Error: 0x80040900 message out of nowhere. And the above email Server configuration would be different for different servers like Outlook.com, Gmail, AOL, etc. Antivirus program gives an option to enable or disable email scanning. If the issue you’re facing is not because of it, you can disable the option and check if the issue persists. In Firewall Settings, check if either Outlook or the Ports it uses are blocked or not, as per the settings. Press button to launch Start. Click on System and Security and select Windows Firewall. Here, check for Blocked/Unblocked Ports in both Inbound & Outbound Rules. 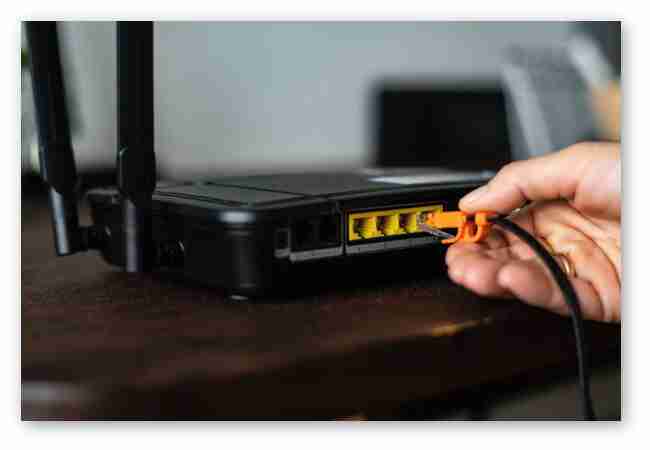 An unstable Internet or a faulty Internet router may also cause the same error to happen, and for correcting it, restarting the router would help. You can restart the Wireless Router by removing it out of the wall; wait for about 20 seconds, and then plug it back and check again. Login as administer to the router and restart. For doing it effortlessly, find your Router’s IP address, for example, 192.168.0.1, enter credentials, move to the specific section – as the option to Reboot can be found on different pages for different routers— and click Restart. Can SCANPST fix the Fatal Error 80040900? When configured with POP settings, Outlook will store all the mailbox data on your computer either at the default or specified location which includes emails, attachments, reminder, calendar details, etc. With all the positives there are negatives too, associated with Outlook PST data file. The chances of PST data file turning corrupt or getting damaged are quite common, and there are many reasons behind that can lead to such situation, and data inside Outlook PST file comes on the verge of loss. Well, there are a couple of things you may think of as the solution of fixing the error, which includes both manual and automatic methods. One is SCANPST.EXE which is the built-in utility provided by Microsoft. Using the SCANPST utility you can try to fix the PST file error you are facing. The built-in utility has some limitations as the tool is available to you free of cost. It is important to understand that, creating software products and services is not free time job; it requires both money and time. So whatever is free, the thing won’t be that good or better in comparison with the paid ones. The utility can’t proceed with repairing large size PST files exceeding 2GB. If Virus or Malware infect the PST file, SCANPST cannot fix that issue. If directory structures & headers of Outlook PST file(s) are broken, then the utility can’t fix it. The utility may stop working in situations when process load is excessive. The utility won’t prove to be any help in cases when the PST file is under the influence of high corruption or is damaged badly. 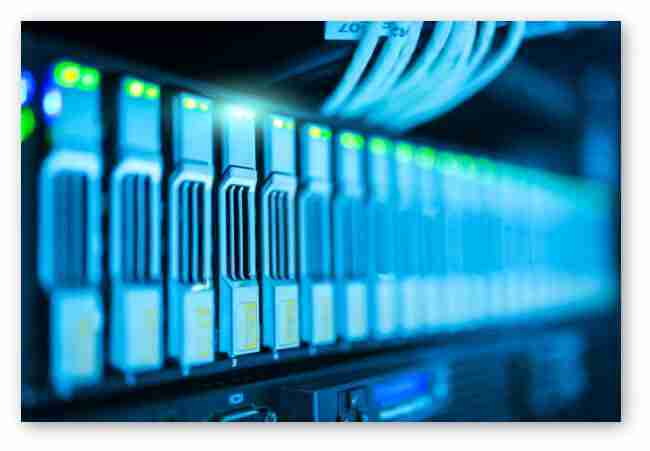 These are some limitations of SCANPST utility, due to which it becomes hard to tackle the errors faster and effortlessly. How to fix the Fatal Error: 80040900? The Scanpst may be the tool that you should try straight when you encounter the Fatal Error: 80040900. But you cannot process a corrupt or damaged Outlook PST data file which exceeds the normal repairing limits of SCANPST.EXE utility. There is nothing you can do with SCANPST tool, if the scale of corruption is dramatically high or the PST file got damaged because of the influence of virus or malware. For overcoming these errors and issues, the only option remains left is opting for a professional and advanced software. Outlook PST Repair is amongst the best & advanced tool for fixing all the errors or issues, which you may encounter with Outlook PST data file(s). With RecoveryFix for Outlook PST Repair, you can repair the corrupt or damaged PST data file(s), irrespective of the intensity of corruption or how badly the data file(s) is damaged. Also, no matter whether the PST file was under the influence of virus or malware, the tool enables you to repair the file unconditionally and further you can recover the mailbox data. Maintenance of data structure and hierarchy, no restriction on file size, and cross-platform recovery are some of the exclusive features of the Outlook PST Repair. 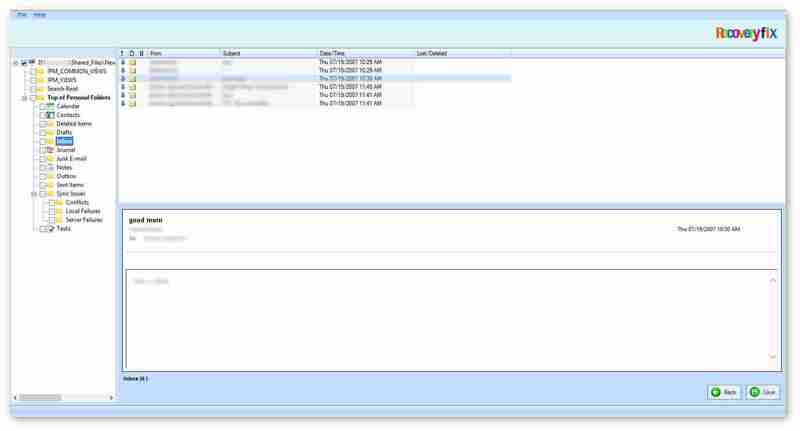 Therefore, whether it is Fatal Error: 0x80040900 or other, you can make use of Outlook PST Repair tool and recover mailbox contents flawlessly. Additionally, no matter which version of Windows operating system you’re on, Outlook PST Repair tool is compatible with all the versions of Windows available out there, name it Windows 10, 8, 8.1, etc. Microsoft’s built-in utility comes handy in many scenarios, but not all the time. 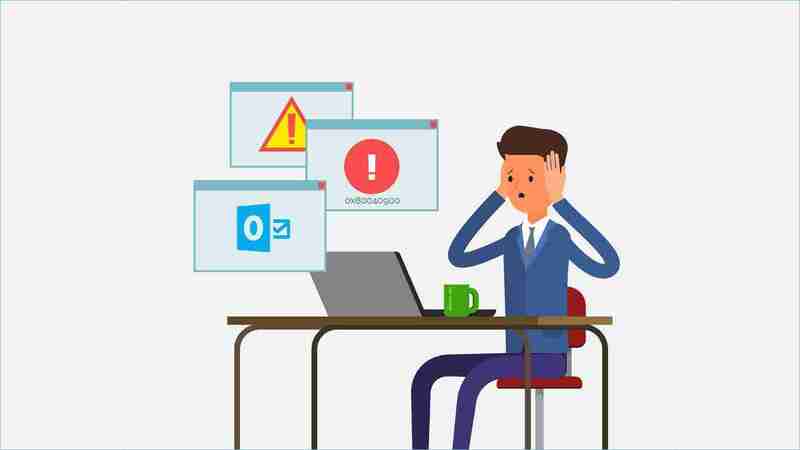 If an Outlook error is exceeding the limitations of SCANPST utility then, choosing a more proficient way would be the best thing, and in such scene, RecoveryFix for Outlook PST Repair is the best find.